Gregory Norwood, wealthy businessman and close friend of Minnesota’s leading candidate for Governor, is found dead on the first anniversary of his son’s drug overdose. It seems clear to Detectives Gino and Magozzi that grief drove him to suicide. As the seemingly open-and-shut case becomes a murder enquiry, the detectives begin to delve into the dark secrets of one of the city’s most powerful families. It seems the murders are not the first in the Norwoods’ tragic story – and they won’t be the last . . .
PJ Tracy was the pseudonym of mother-daughter writing duo P.J. and Traci Lambrecht, winners of the Anthony, Barry, Gumshoe, and Minnesota Book Awards. 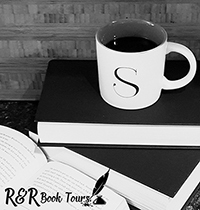 Their eight novels, MONKEEWRENCH, LIVE BAIT, DEAD RUN, SNOW BLIND, SHOOT TO THRILL, OFF THE GRID, THE SIXTH IDEA, and NOTHING STAYS BURIED have become national and international bestsellers. 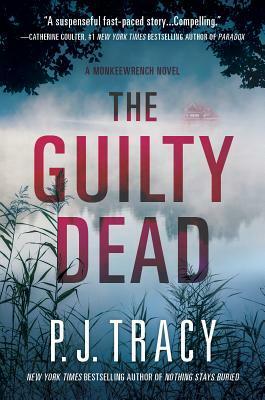 THE GUILTY DEAD, the ninth installment of the Monkeewrench series, will be released in the US and the UK in fall of 2018. PJ was a long-time resident of Minnesota until her death in December 2016. Traci remains in rural Minnesota, just outside Minneapolis, and continues writing about the Monkeewrench gang. P.J. Lambrecht always loved to tell people she was a college dropout and had no qualifications for being a writer except for a penchant for lying. She had her first short story published in The Saturday Evening Post when Traci was eight, still mercifully oblivious to her mother’s plans to eventually trick her into creating a family business. Traci Lambrecht spent most of her childhood riding and showing horses. She graduated with a Russian Studies major from St. Olaf College in Northfield, Minnesota, where she also studied voice. Her aspirations of becoming a spy were dashed when the Cold War ended, so she began writing to finance her annoying habits of travel and singing in rock bands. Much to her mother’s relief, she finally realized that the written word was her true calling. Together, they had a long, prolific career writing together in many genres until PJ’s passing in December 2016. Traci continues to write like a maniac, with PJ’s spirit sitting on her shoulder, cracking wise. Detectives Leo Magozzi and Gino Rolseth are called in to look into the dead of Gregory Norwood. Initially it looks like a suicide especially since it takes place one year after his son over dosed. But then it is discovered that he is left handed and the gun is near his right hand. As Magozzi and Rolseth dig into Norwood’s past, they discover another body. At the same time the Monkeewrench team has developed some software that has to potential to tract terrorist. The team gets their chance to try out the software and find themselves connected to the dead of Gregory Norwood. But what connections are important? I have only read The Sixth Idea in this series but I loved it and wanted to catch up with the rest. Of course life has a way of pushing you away from the plans you make. I was very excited to be offered The Guilty Dead to review to come back to the Monkeewrench crew. I loved following along with both plots as the came crashing together. I did notice that the Monkeewrench crew were not as predominate as in The Sixth Idea. But it was still a great story. So far I really enjoy the Monkeewrench series and want to catch up. I strongly recommend checking it out. I would like to thank Meryl Moss Media & Crooked Lane Books for the opportunity to read and share this book. Josie James is thirteen years old and visiting her grandmother. While there she finds herself drawn into a world that exists along side of ours. She is in Suncroft and learns that a powerful curse has been placed to make it permanently winter. But Josie may be the Chosen One that can break the curse. But she has her work cut out for her. 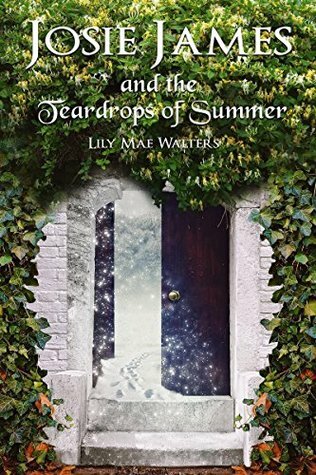 The first step is to save The Teardrops of Summer, magical crystals that make the owner immortal, something that those in Suncroft want falling into the wrong hands. This is an amazing mid grade readers story. It will appeal to both girls and boys and everyone else. Josie is a great character; she is tough and brave yet knows when she has done wrong. As you read you find that the adults have more to say to the kids but withholding the information. It’s not malicious; they want to protect the kids. In the end it will take everyone to save Suncroft. This is to be the first book in a five book series. I am in love and think anyone that enjoys fantasy stories will love this book too. I can’t wait to see what Josie gets into next. Make sure to get yourself a copy of this book. You and a kid will not be disappointed.